What Does "Cruelty-Free" Really Mean, Anyway? If you’ve been reading my pieces for Refinery29, you probably have a hunch about my stance on cosmetics and animal testing. You see, when I was 11 years old growing up in Dallas during a time when nails were long, hair was big, and people were remiss over who shot J.R., I found a pamphlet on animal testing on the floor of my local grocery store, and it changed everything for me. Once I became educated about the seedy underbelly that brings most of our cosmetics, personal care, and home care products to market, I knew I could never support a company that engaged in animal testing. And, no matter your stance, everyone should be armed with information to make his or her own soul-aligned decisions. 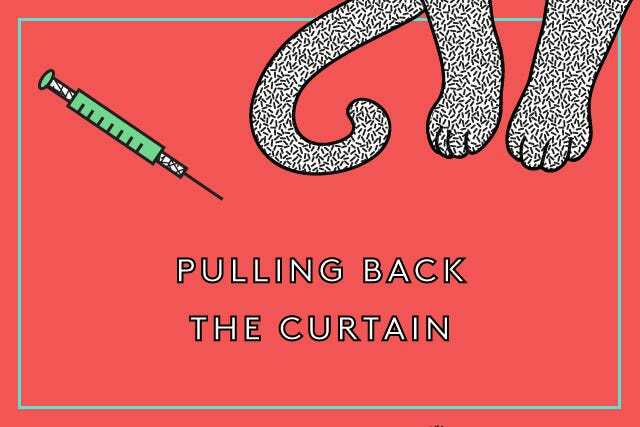 So, behold — we’re pulling back the curtain to learn a little about animal testing and how widespread it really is. I won’t go into the gory details, but “animal testing,” or “vivisection,” is definitely not just lathering a rabbit up with a dollop of shampoo and letting him hop on his merry way. Companies that engage in animal testing have large labs chock full of all sorts of creatures. It may surprise you to know that one of the most widely tested on animals in the world is the Beagle. Believed to be somewhat bio-identical to humans, Beagles bound for labs are bred in large-scale facilities specifically for testing and live their entire lives being poked and prodded in cages. Many die from panic, stress, malnutrition, negligent handling, or side effects from tests. We’re not just talking about Beagles here, either. 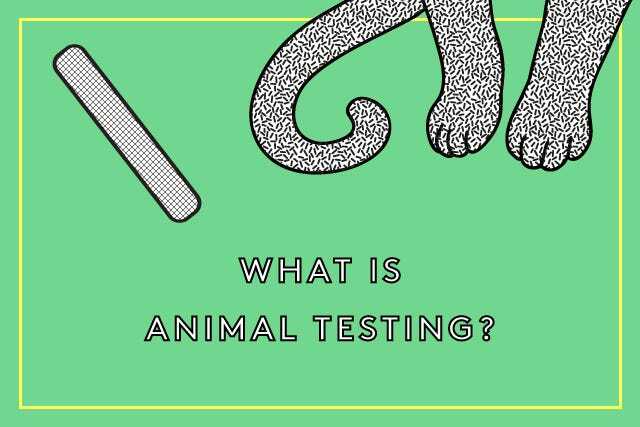 Everything from dogs, cats, rats, mice, and monkeys, to goats, hamsters, guinea pigs, and rabbits can be found in testing labs. Some lucky few will live long enough to be “retired” and adopted, but irreparably scarred with the battle wounds to prove it. (Many receive a tattooed number in their ear at the lab.) If you’re not already fired up, check out the amazing work of the Beagle Freedom Project in this video where nine laboratory beagles see the sun, smell the air, and feel grass under their paws for the first time in their lives. Now, tell me that animal testing makes sense. It may also surprise you to hear that vivisection isn’t just relegated to cosmetics. Pharmaceuticals, home care products (think laundry detergent and floor soap), garbage bags, batteries (I mean, how else would we tell whether or not battery acid is corrosive? ), and personal care products like toothpaste and deodorant are all routinely tested on animals. 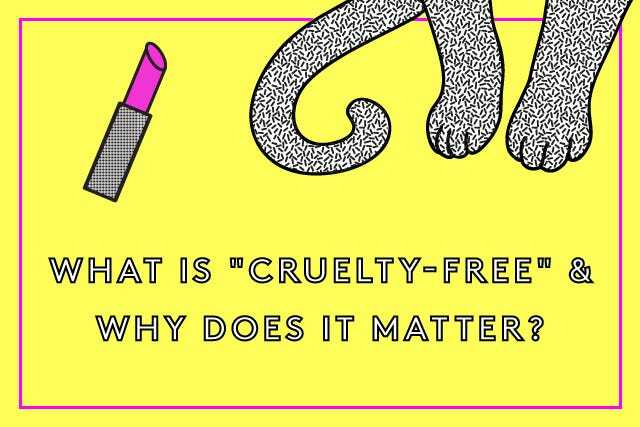 What Is “Cruelty-Free” & Why Does It Matter? “Cruelty-free” is a term widely used (and sometimes abused) to denote a product that has not been tested on animals, but shades of this vary greatly. For instance, if you walk into a drugstore and pick up a certain brand of shampoo, you might see a disclaimer that reads, "This finished product not tested on animals,” and you may feel a twinge of comfort. But, what that essentially means is that the product you’re holding may not have been tested on animals, but raw ingredients that formula the finished product may have been. And, since we vote with our mighty dollars, buying said shampoo essentially funds the continuation of animal testing forevermore. Beyond the humane reasons for why shopping cruelty-free should matter, perhaps the most compelling rationale is that we simply don’t need animal tests on cosmetics anymore. There are other, more accurate and humane methods (testing on artificial, lab-grown human tissue has yielded more accurate results on predicting skin irritation than animal tests). It’s an archaic process that has already been banned by the European Union (though the loopholes are still being shored up), Israel, and India, with Australia and New Zealand seemingly not far behind. And, in the United States, legislation entitled the Humane Cosmetics Act, introduced by the Humane Society of the United States, will hopefully catalyze conversation in a similar direction. In the meantime, we need to get smart about what we buy.